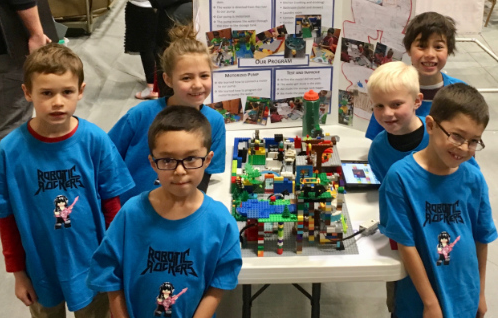 Congratulations to the Los Alamos group of New Mexico FIRST LEGO League Jr. Team for winning the Showmanship Award at the Los Alamos Expo on December 8, 2018, held at the Los Alamos Middle School. The NMC is proud to sponsor this group of awesome kids! FIRST LEGO League teams build LEGO-based autonomous robots using LEGO MINDSTORMS technology and develop project based on real world challenges. Thank you Taraka Dale, a LANL and NMC Biolab researcher, for lending your time and efforts to support the team.